Examining environmental issues throughout the world, this reference title contains thorough definitions and explanations of terms relating to the environment. 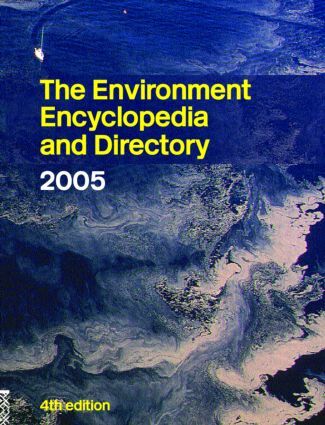 The volume includes detailed maps, an extensive bibliography and a Who's Who section, making this an essential one-stop reference work for anyone interested in environmental issues. * A comprehensive who's who section of the leading personalities actively involved with environmental affairs.